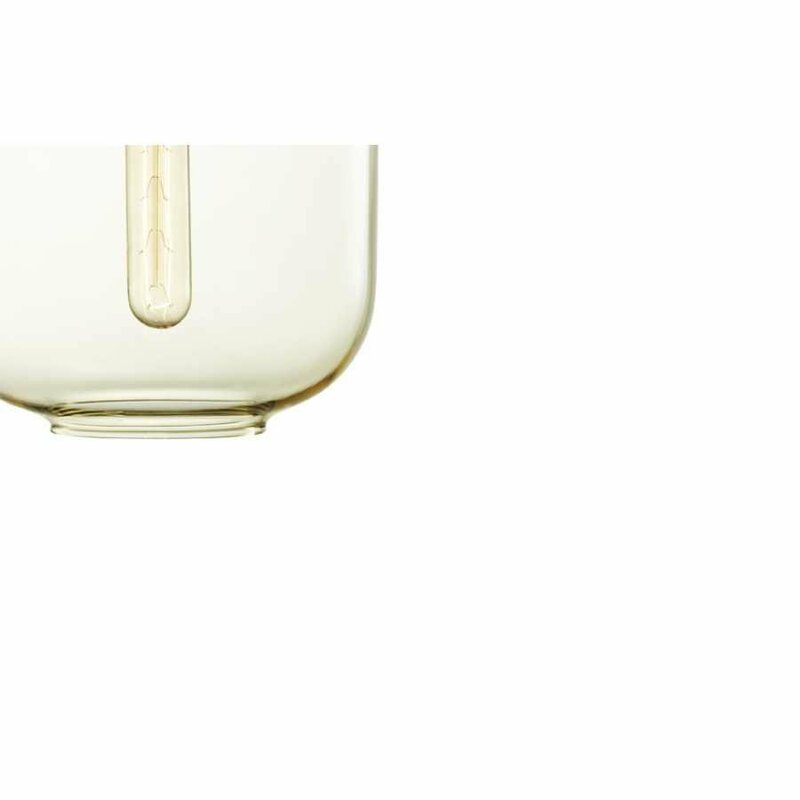 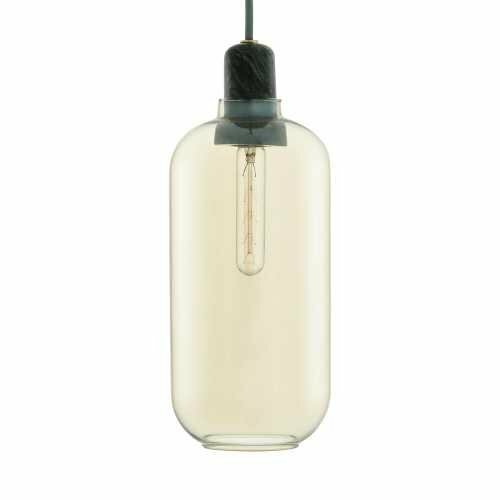 A unique idea and inspired design led to the creation of the Normann Copenhagen Amp Pendant Light. Taking the shape and style of the old tube amplifiers of the 1960s Normann Copenhagen have crafted their industrial-inspired and effortlessly stylish Amp Lighting range with care and precision. 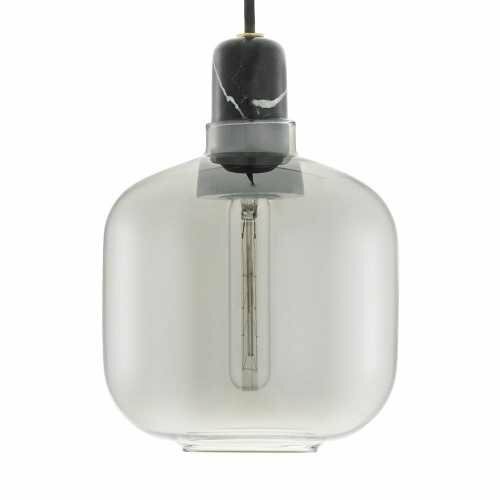 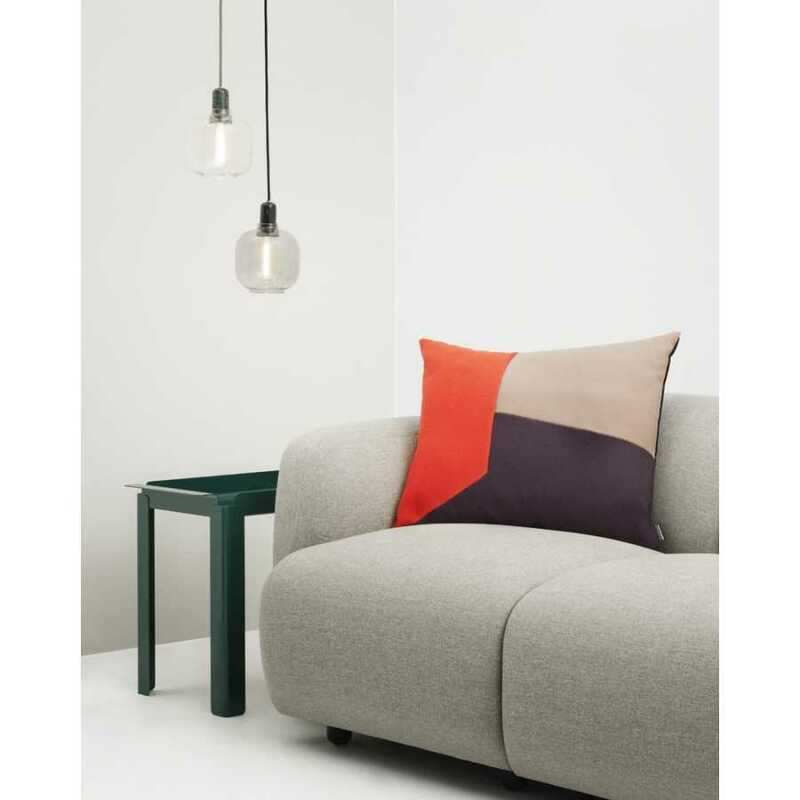 The Normann Copenhagen Amp Pendant Light reflects light through its glass shade and has an industrial sparseness which is at the peak of modern interior design. The Amp Pendant Light brings together the natural strengths of glass and marble and combines them in effective fusion. 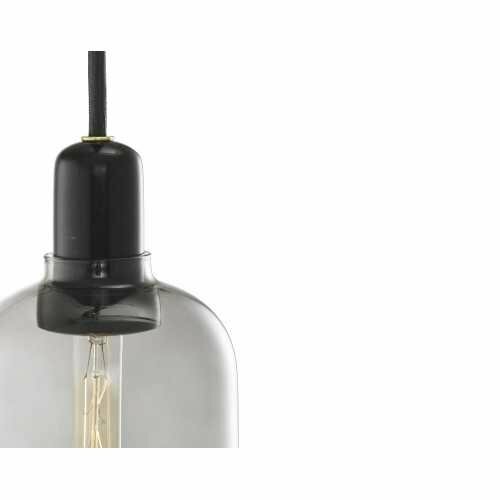 The light is available in two different sizes; the small measures 14cm in diameter and 17cm in height whilst the large measures 11.2cm in diameter and 26cm in height. 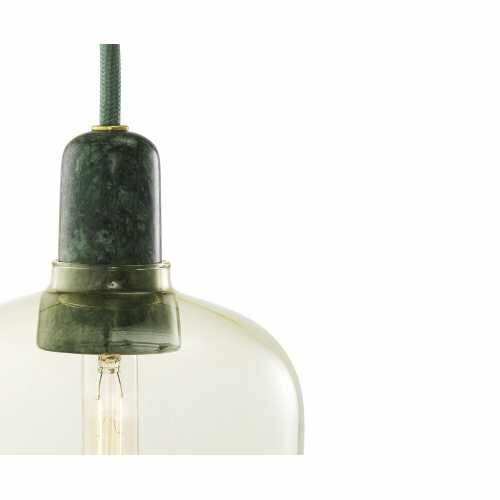 You can choose between gold and green and smoked and black marble and whilst standard E14 bulbs fit the Amp Pendant Light the attractive and eye-catching Amp bulb is more impactful and impressive. 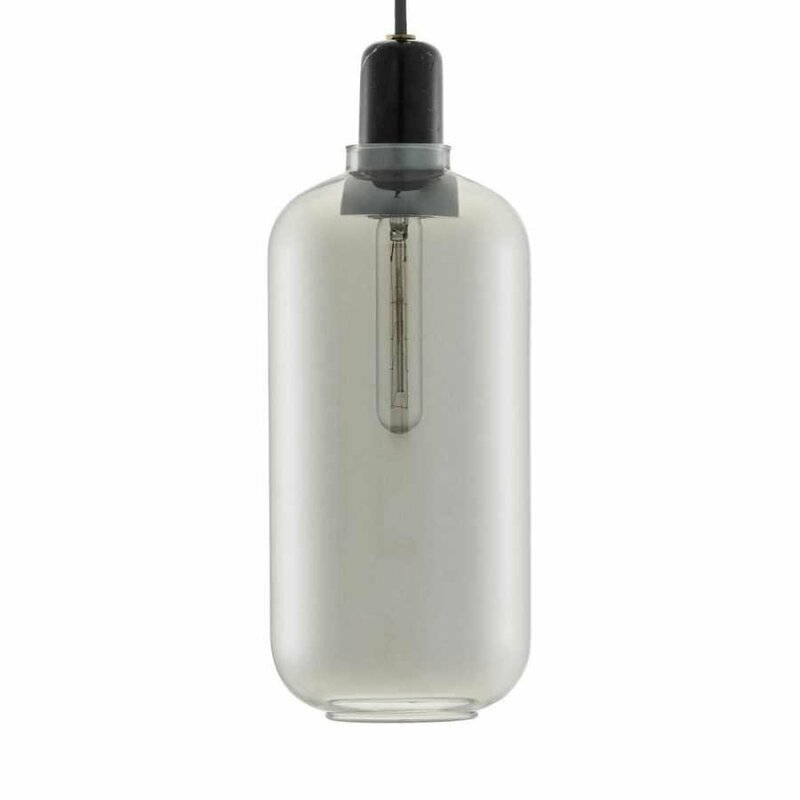 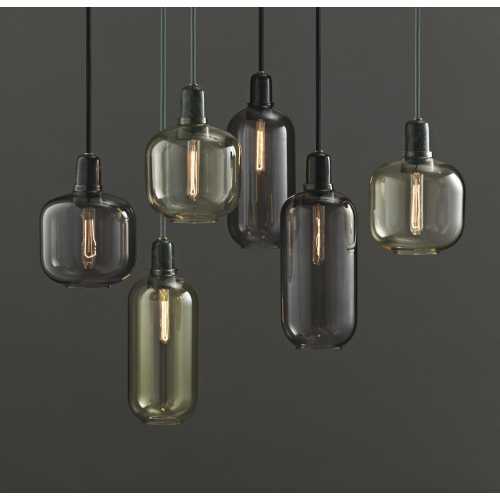 The Amp Pendant Light is a real feat of engineering and modern design which hangs wonderfully in a range of interiors. To find out more about Normann Copenhagen and the other pieces in their range please visit our dedicated brand page.